For true fans of marijuana in some parts of the country, we have now entered a kind of Golden Age for cannabis. Where once growing the plant was unlawful, many now have turned to cultivating cannabis in their own homes as a new hobby. One sign of its popularity: there’s a Pinterest page on the topic. 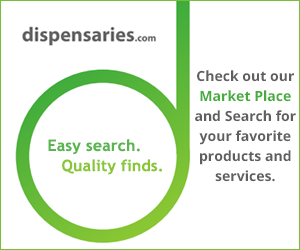 You can still turn to professionals for specialty items such as edibles, vaporizers and other products. And many will want to simply buy cannabis at a dispensary. But that doesn’t keep you from trying to grow a little on your own for fun, as long as you are in one of the many states that allow you to do so. You’ll want to make sure you live in one of those states, obviously. But once you do, it’s really not as difficult as you might believe. The slang for marijuana is “weed.” That’s not an accident. This isn’t going to come with the same level of difficulty as growing prize tulips. Here’s a quick look at some of the main steps in growing marijuana in your home. Keep in mind that most states limit the number of plants to around four. If you are a beginner, you might just want to start with one and grow it indoors. Once you purchase seeds, soil and a pot to put them in, considering the following. Create the flowering. After enough time is passed, you’ll want to reduce the light to 12 hours a day, which will lead to the plant producing its flower. This typically works best in an enclosed, dark space where the only source of light is the lamp. Those are the basics, but that gives you an idea. There are many different systems, including hydroponics, raised beds, organics, etc. You can also buy items such as specialty soil for cannabis and fans to circulate air. But rocket science, it is not. For some, it might just be an interesting hobby that you can indulge in now that it is legal I many states. Also, as mentioned above, there are many different approaches in the details of growing marijuana, and doing it yourself allows you to experiment with the different methods and find the one that works best for you. You also could save money eventually, if you decide to grow all the marijuana you need. While the initial costs of starting to grow your own might hit you hard, eventually it’s possible to make up the costs once your harvest comes in. For many, though, it really will remain a hobby, not unlike the home brewing craze in years past. And for true marijuana aficionados, the real answer as to why you should grow your own marijuana is this: because you can.